Your baby is naturally most comfortable in your arms. In fact, they may be so comfortable, that you find that the only way you can get anything done is by “wearing” your baby. 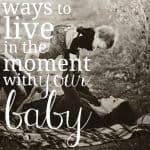 However, doctors typically recommend that babies sleep lying flat on their back, to allow baby’s body to freely move; and encourage bone and muscle development. Furthermore, if you’re driving (or even just riding in the car), it just isn’t safe or legal to baby-wear. Is it a car seat? Is it a stroller? It’s both! 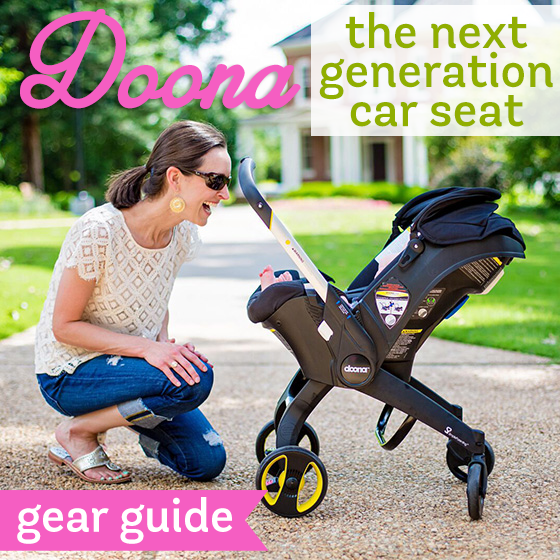 Doona is the world’s first infant car seat with a complete and fully integrated mobility solution designed for infants 4-34 lbs. DO YOU LOVE DOONA AS MUCH AS WE DO? 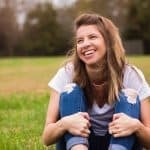 If you’re in the market for an infant car seat, then you’ve likely picked up your fair share of car seats and attempted to predict how heavy that car seat will be once your baby is buckled in. 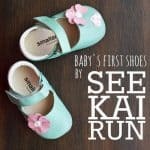 What often seems like a fairly light weight piece of baby gear, quickly turns into a “ton of bricks” as your baby grows; and you won’t realize it until long after you’ve spent hundreds of dollars on an infant car seat and stroller system. Thus the reason we were so excited when we saw the Doona infant car seat. 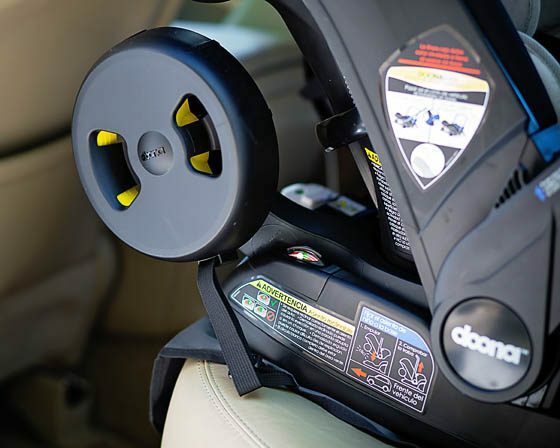 No more dragging your baby’s car seat around. No more sore arms or backs. No more leaving the car seat in the car because it’s just too much of a hassle to bring along (obviously, you’d still bring your baby with you). And, no need to waste valuable trunk space with an additional frame or stroller. 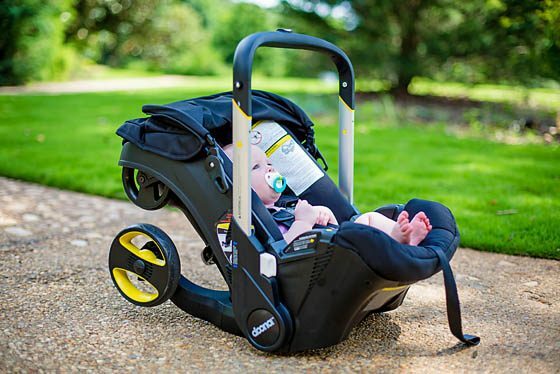 Within seconds, Doona transforms from an infant car seat to a simple stroller. It’s genius, right? But you certainly wouldn’t want to carry Doona as it is heavier than any other car seat we’ve handled, weighing in at 16.5 lbs. 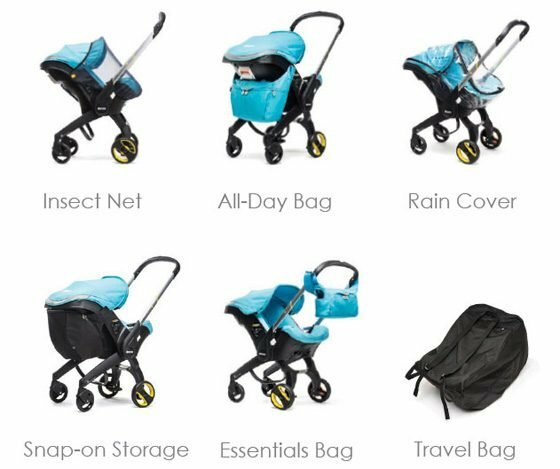 That said, whether you live in the city or the suburbs; if you have a new baby on the way, you will instantly fall in love with Doona‘s innovative design. Global engineering, safety and medical experts spent the last few years developing the Doona infant car seat, with a primary focus of ensuring that your baby will be safe and comfortable both inside and outside of the car. Obviously, Doona was designed to achieve maximal protection for your baby in the car. 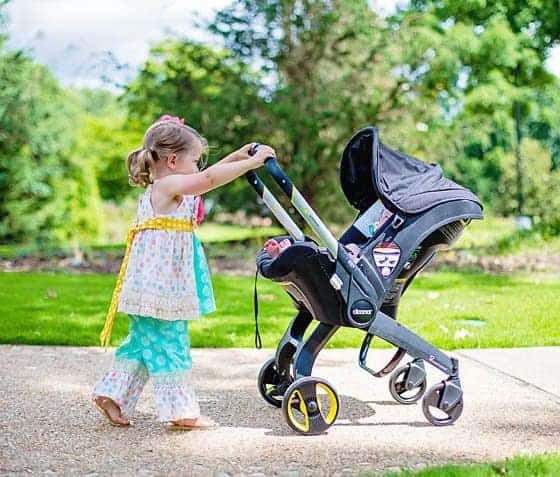 However, due to the nature of the product, and inspired by the position of a baby resting in her mother’s arms, Doona was designed to fully support your baby even when used outside of the car by quickly and easily converting into a stroller. Suitable when travelling in a private vehicle, taxi or airplane. Interestingly enough, it can be installed with or without a base. 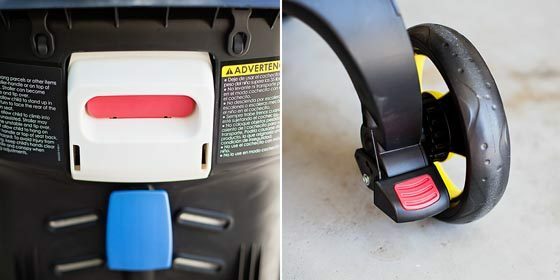 A height adjustment mechanism and easy-to-read level indicator to ensure proper seat angle adjustment and positioning. A quick and simple installation and easy release (much easier than many other car seats we’ve installed in the past). Integral belt locking clips that enable snug and effortless vehicle seat belt installation. An installation indicator that confirms that Doona is safely locked in position. 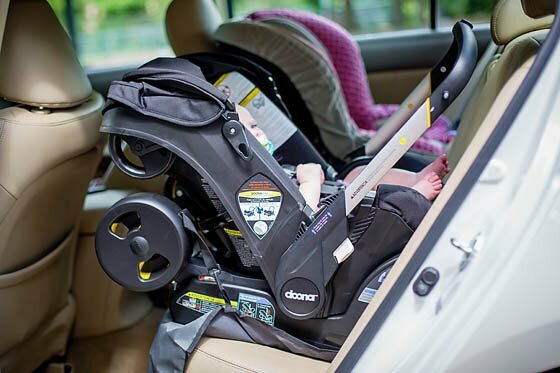 Unlike typical car seats, Doona’s unique structure enables positioning the handlebar against the back of the seat of the car, thus providing the baby with exceptional Anti-Rebound protection. 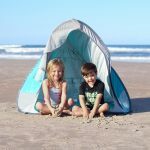 In case of a collision, the Anti-Rebound handle will absorb the impact and prevent the Doona from rotating quickly towards the back of the seat, thus dramatically reducing rebound injuries. 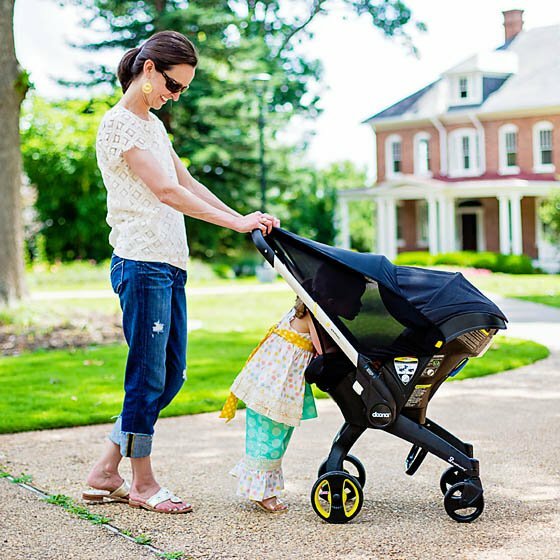 With the handlebar in the middle position, you can maneuver Doona easily while walking or sitting next to it. Actually, you must have Doona’s handlebar in this middle position to move from car seat to stroller. The baby’s position in the Doona allows he or she to interact freely and maintain direct eye contact with you, thus facilitating key brain development. You’ll notice that the telescope handlebar will not extend when in center position, nor will extend if pushed all the way back (behind the canopy). It will only extend when it’s all the way forward in push mode. The low setting is perfect for an older sibling (as seen above), while the extended position is just right for mom and dad. 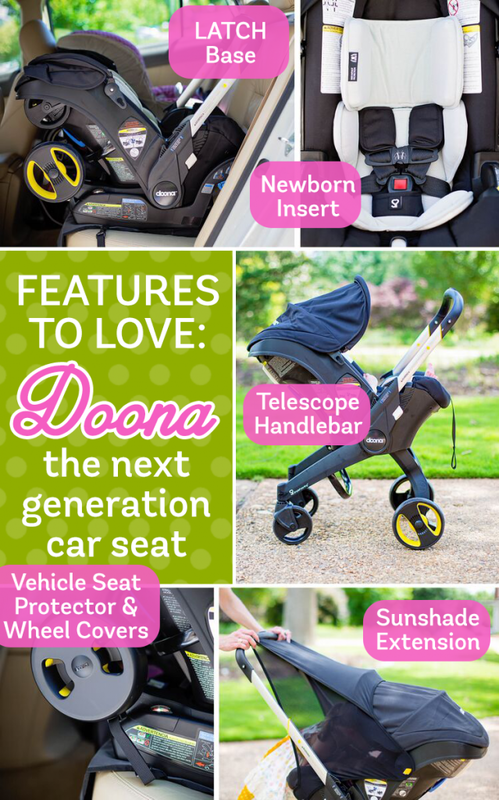 Doona is designed such that you always maintain eye contact with your baby. Doona is quite easy to fold and unfold. Using the red insert in the back of the seat (as seen below) with the handlebar in the center position, you’ll press down and unfold the seat into the stroller position. 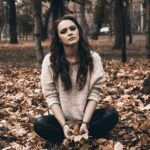 Folding Doona back into a seated position is not as easy, on purpose. To fold up, you press down the red brake button, adjust the handlebar to the center position, and move the seat forward in a rocking motion as you press down on the back button (be sure to watch their video to fully understand this process). While it may seem complicated, we promise that the whole operation is way simpler than trying to unfold a stroller and lock in a car seat. One of our biggest concerns as parents is that the products we’re placing our babies in are safe and secure. Doona shares those concerns and has taken extra care to make sure that this infant car seat is 100% safe. In particular, Doona applied that focus on safety when designing the included newborn insert. Specifically designed for newborn babies, the Doona Infant Insert provides young babies with the highest levels of safety and comfort. This insert will support your baby’s posture, by mimicking the same natural position your baby held in the womb and again in your arms, thus granting parents and babies the freedom to travel together. 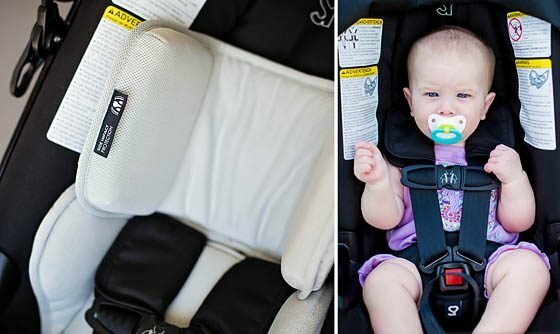 Take out the newborn insert when your baby has outgrown it and this infant car seat will easily accommodate your child up until they are either 34 lbs or 32 inches long. 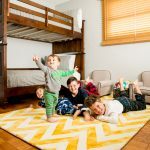 Once you’re done with the newborn insert, you’ll notice that Doona’s unique double wall structure, which enables the folding of its wheels into the Doona body, delivers an additional significant safety benefit. 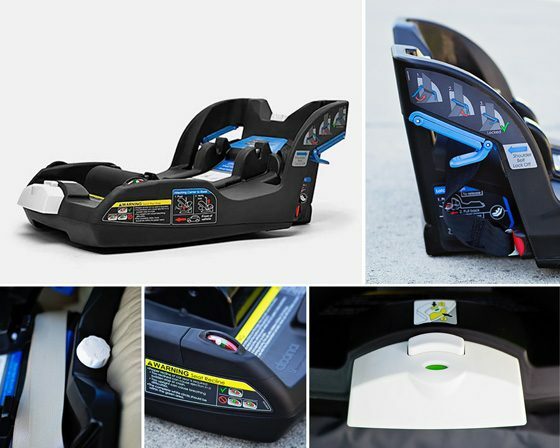 The two layers of durable, impact-absorbing plastic, along with additional layers of EPS foam and textiles provide enhanced side-impact protection which better protects the baby in case of an accident. 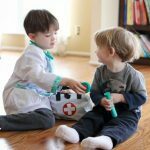 As if that weren’t enough, all materials used by Simple Parenting are carefully tested and approved under the most strict European standards and the REACH regulation, including SVHC (Substances of Very High Concern). 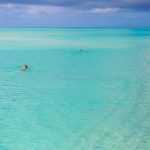 Not only are the materials used free of any hazardous chemicals, they are also tested for their durability and quality to assure the safe and continuous use of the products. 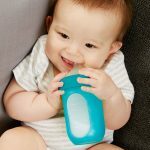 With the same values of simplicity, innovation and safety in mind, Simple Parenting developed a wide range of accessories to help parents with their various baby-care needs. 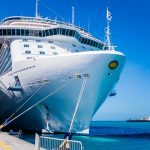 We had the opportunity to see three of these accessories in action. Simple Parenting realized that by putting wheels on a car seat, parents might worry about getting their seats dirty. Therefore, they included a seat protector with the Doona infant car seat and latch base. 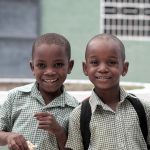 While the wheels don’t even touch the seat when in the car, we find both the seat protector and wheel covers that easily connect to one another (sold separately) offer a little piece of mind. If it’s raining, using the wheel covers will also prevent the wheels from dripping all over the place. The seat cover is made of non-slip, water-repellant, easy-to-clean material designed to prevent stains and soiling of vehicle upholstery. Meanwhile, the wheel covers easily snap to Doona’s wheels. 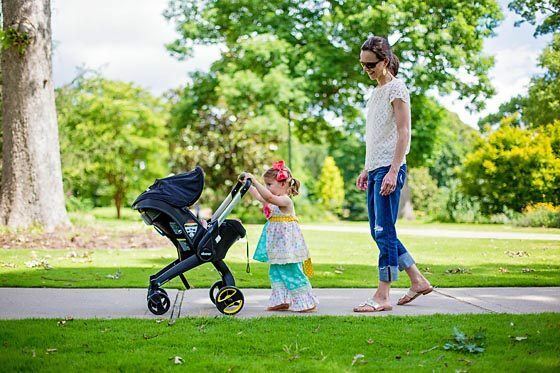 We were quite used to attaching an infant car seat into a stroller system and fulling extending both canopies into their full position to block the sun from our babies. So, when we first saw Doona’s average size canopy, we were a little concerned. That was, until we took advantage of the sunshade extension. 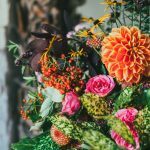 Other accessories include an insect net, rain cover, two types of “diaper” bags, a travel bag (great for air travel) and snap-on storage to make up for the lack of under-carriage storage. But all accessories must be removed before the car seat is installed back in the car.